Teresa Serrano-Gotarredona Gotarredona was born in Cordoba (Spain) in 1969. She received the B.S. degree in electronic physics and the Ph.D degree in VLSI neural categorizers from the University of Seville, Sevilla, Spain in June 1992 and December 1996, respectively. In August 1997, she obtained an M.S. degree in the Department of Electrical and Computer Engineering of the Johns Hopkins University , Baltimore, MD, where she was sponsored by a Fulbright Fellowship. 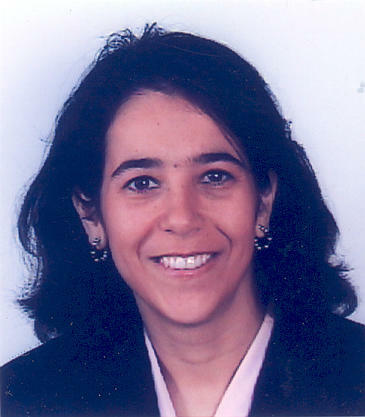 She was assistant professor in the University of Seville in the Electronics and Electromagnetism Department from September 1998 until June 2000. Since September 2000, she is a Tenured Scientist in the National Microelectronics Center , (IMSE-CNM-CSIC ) Sevilla , Spain and in July 2008 she was promoted to Tenured Researcher. Since January 2006, she has been also part-time professor at the University of Seville. Her research interests include analog circuit design of linear and nonlinear circuits, VLSI neural based pattern recognition systems, VLSI implementations of neural computing and sensory systems, transistor parameter mismatch characterization, address-event-representation VLSI, nanoscale memristor-type AER, and real-time vision sensing and processing chips. Dr. Serrano-Gotarredona was corecipient of the 1995-96 IEEE Transactions on VLSI Systems Best Paper Award for the paper "A Real-Time Clustering Microchip Neural Engine". She has also been co-recipient of the 2000 IEEE Transactions on Circuits and Systems Darlington Award for the paper "A General Translinear Principle for Subthreshold MOS Transistors". She is co-author of the book "Adaptive Resonance Theory Microchips". She has served as chair of the Sensory Systems Technical Committee of the IEEE Circuits and Systems Society and chair of the IEEE Circuits and Systems Spain Chapter. She was academic editor of the PLoSOne from May 2008 until October 2013. She has also served as associate editor of the IEEE Transactions on Circuits and Systems, part I: regular papers and IEEE Transactions on Circuits and Systems, part II: express briefs. She is co-head of the IMSE Neuromorphic Group.